We’ve written about this before. 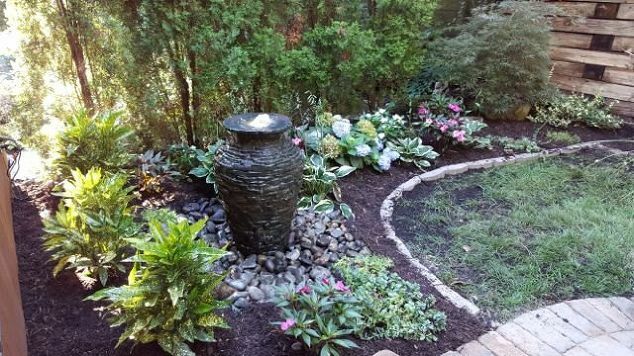 Clients with a wish list for a backyard oasis, but they have an unstable hill that forms part of their property. And they’re finding it hard to imagine what is possible. 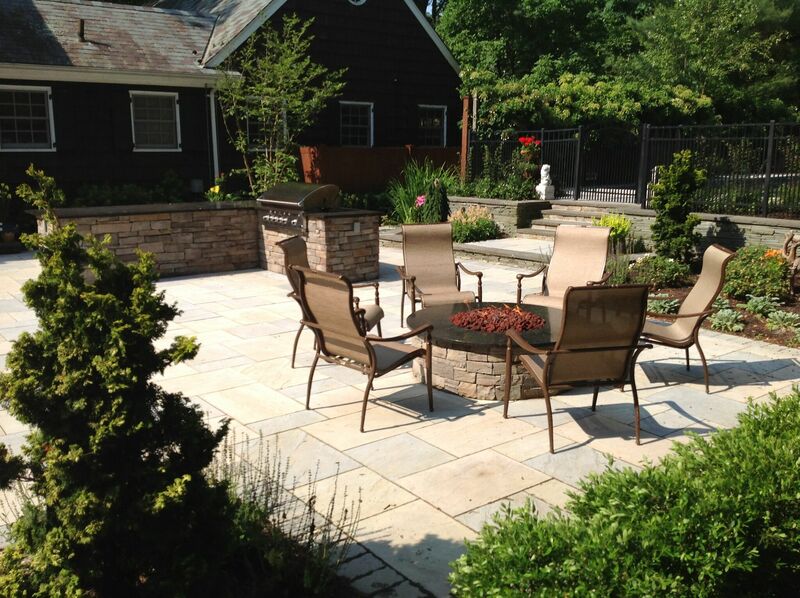 Fortunately, experienced landscaping firms like Deck and Patio have no problem with the vision thing. 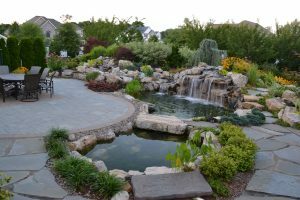 In this case, our clients’ hopes for a water feature, pool, patios for socializing, room for sunbathing, and even the ability to enjoy their yard twelve months a year, were not out of reach at all. Despite problems with the terrain, our team got to work designing/building a truly enviable backyard resort. 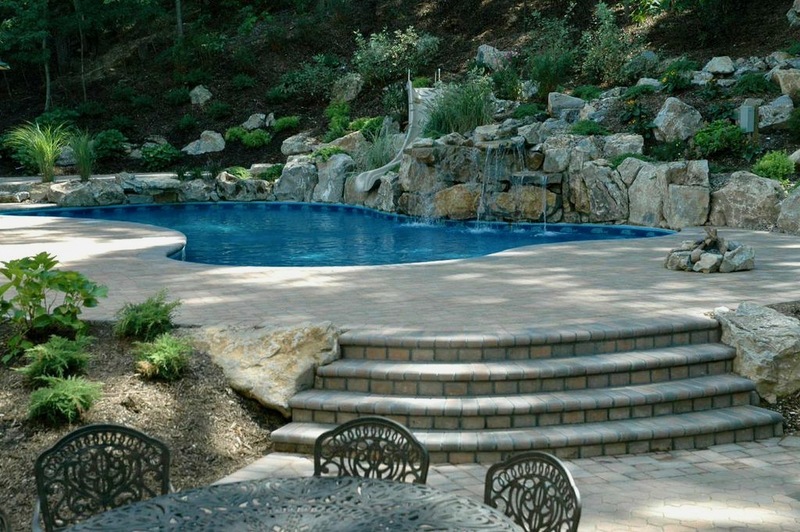 The vinyl-lined free-form pool we suggested allowed us to shape the pool within sturdy terrain. 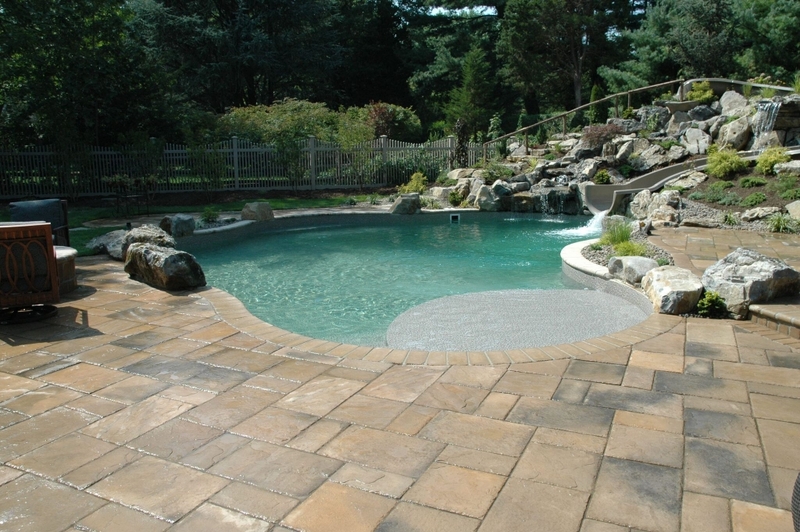 The pool boasts deep-end stairs, and is surrounded by a two-level Cambridge Pavingstones with ArmorTec patio, including a lounging area with embedded umbrellas. The final challenge was making the oasis usable all year long. “We helped them choose a portable spa that could run separately from the pool. We fitted it into the transformed slope beside the stream and built a separate small bluestone patio behind the spa; they can enjoy the water feature when inside the hot tub or sitting or lounging on the secluded patio,” says Dave. 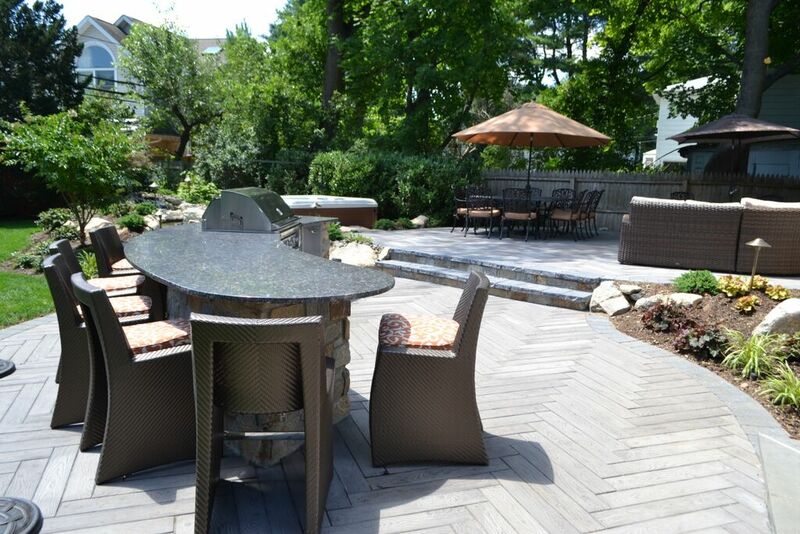 Using a design kit from Cambridge Pavingstones with ArmorTec allowed us to create a very attractive random pattern for the patio, with gradations of tones. Designing the patio in multi-levels allowed us to designate spaces for certain activities — dining, lounging, etc. Deep end — or swim out — stairs as well as stairs at the shallow end offer easy access to the patio’s lounging area with embedded umbrellas. A natural gas campfire is great for cool evenings and adds a bit of romance in the evenings. The owners of this Brookville, NY, property had a charming backyard that consisted of a large patio separate from an attractive pool area. 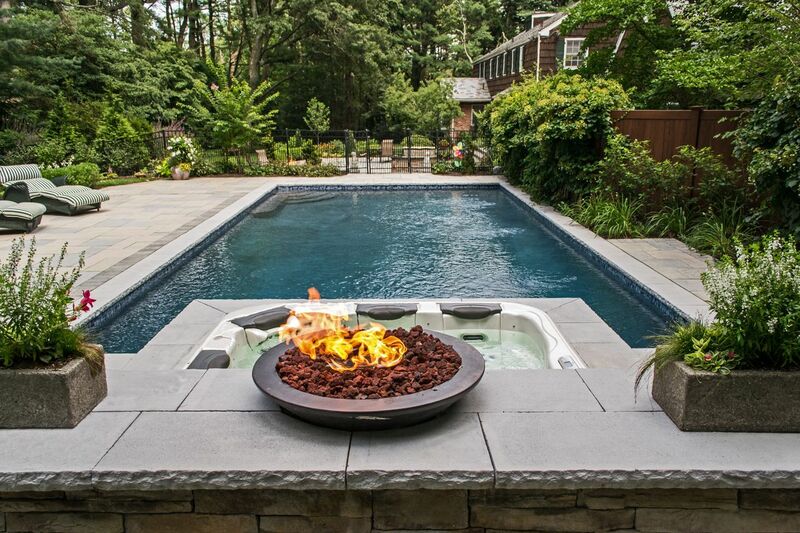 When Deck and Patio met with them to discuss a patio upgrade — along with new fire pit and outdoor kitchen — we learned they also hankered for a spa to go with their existing gunite pool. The complete upgrade included adding an encased portable spa with a waterfall flowing out of it into the existing pool. A privacy wall also faced in stone stands behind it, topped with a fire bowl and second waterfall to create a spectacular setting — day and night. 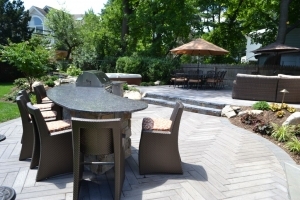 Plus, the new handsome Techo-Bloc pool surround pavers the clients chose were repeated in the lower patio where a new granite-topped L-shaped outdoor kitchen, and fire pit, both faced in matching stone, were added. 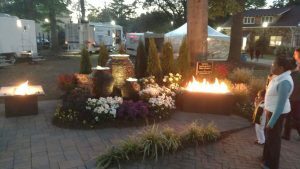 The theme tying it all together, of course, is the stone-facing on many of the elements — balanced by soft hues in the plantings and choice of pavers. Whether it’s going up the steps from the patio to the pool where a stone wall accents the elevation change, sitting around the custom fire pit, barbecuing on a granite-topped outdoor kitchen, or taking in the whole scene while soaking in the spa, the various elements work together beautifully. 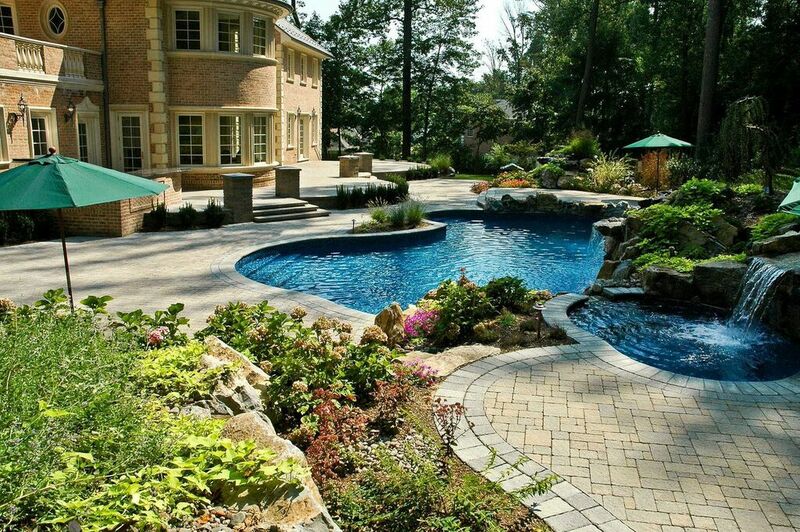 The soft hues of the Techo-Bloc’s Aberdeen pavers for the pool surround and lower patio were chosen to add a hint of contemporary flair to the traditional style of the stonework. Their subtle pinks, blues and creams, accented with robust landscaping, add a soothing feeling throughout the backyard oasis. Stone facing of several amenities help tie this oasis together: fire pit, outdoor kitchen, patio wall and steps, as well as the portable spa encasement (not seen), are all faced in matching stone. 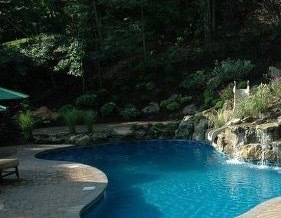 The clients wanted a custom in-ground gunite spa added to their gunite pool. 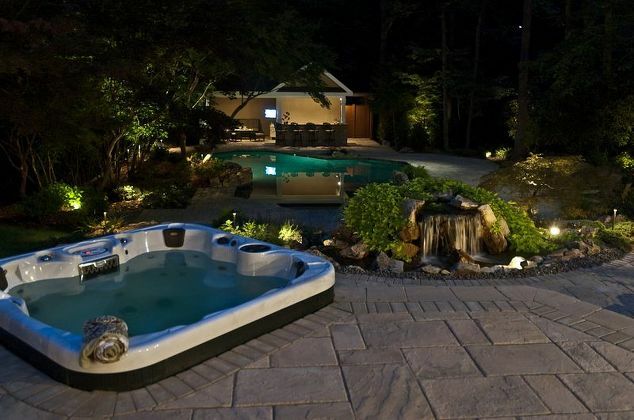 Instead, they opted for Deck and Patio’s suggestion for a custom installation of a portable Bullfrog Spa. 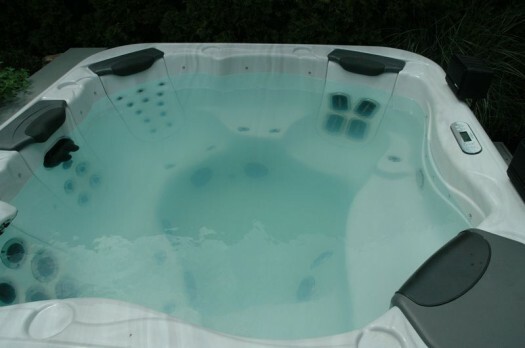 With the portable spa operating separately from the pool, it can be used when the pool is closed down. Plus they get the therapeutic benefits of Bullfrog’s renowned JetPaks (hydro jets) without sacrificing drama and elegance. 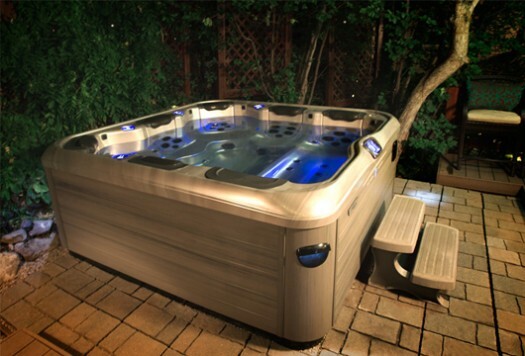 One truly enjoyable aspect of the clients’ new spa is where it was installed. When soaking in it, they get a perfect view of what’s going on in and around the pool as well as all the way to the lower patio area where the outdoor kitchen and fire pit are. 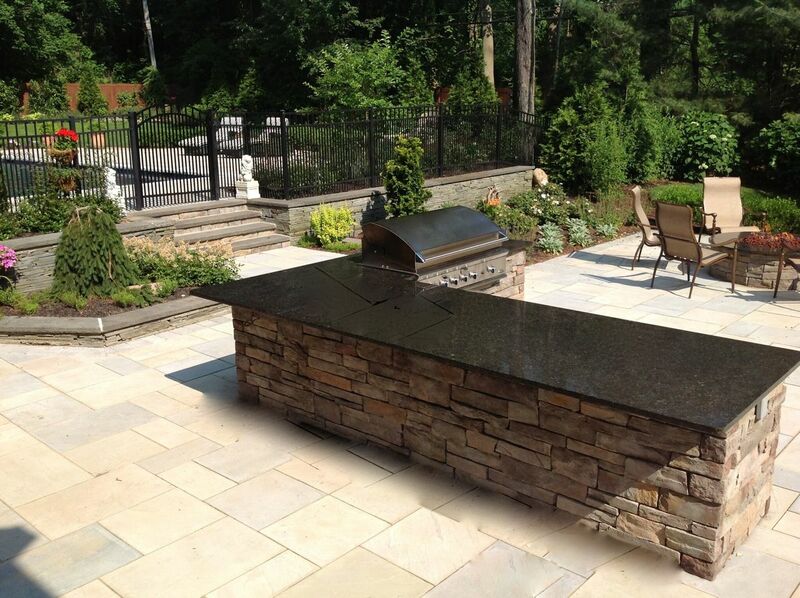 A beautiful and highly functional outdoor kitchen, topped in granite and faced in stone, was positioned adjacent to the patio’s dining area and new fire pit. One of the features of the clients’ new spa is a sheet-falling waterfall that flows out from its encasement into the pool. 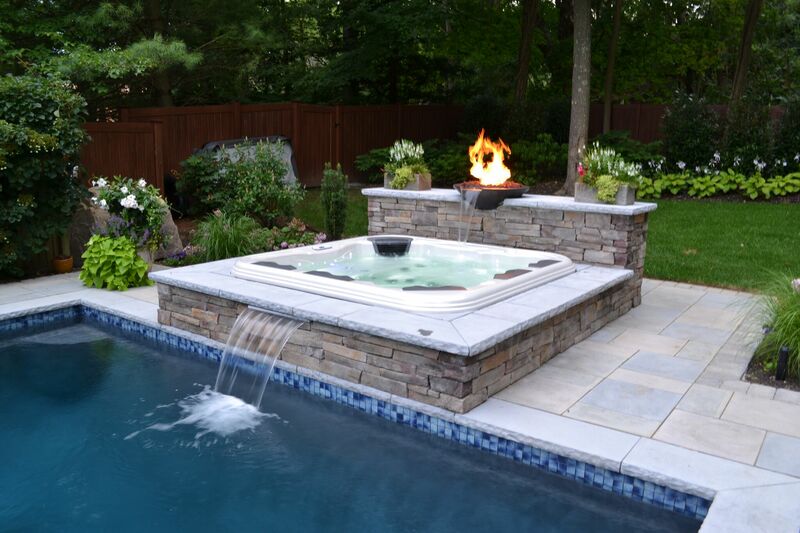 A privacy wall holds a dramatic fire blow that spills a waterfall into the spa. These Techo-Bloc paving stones are packaged separately giving flexibility in design. 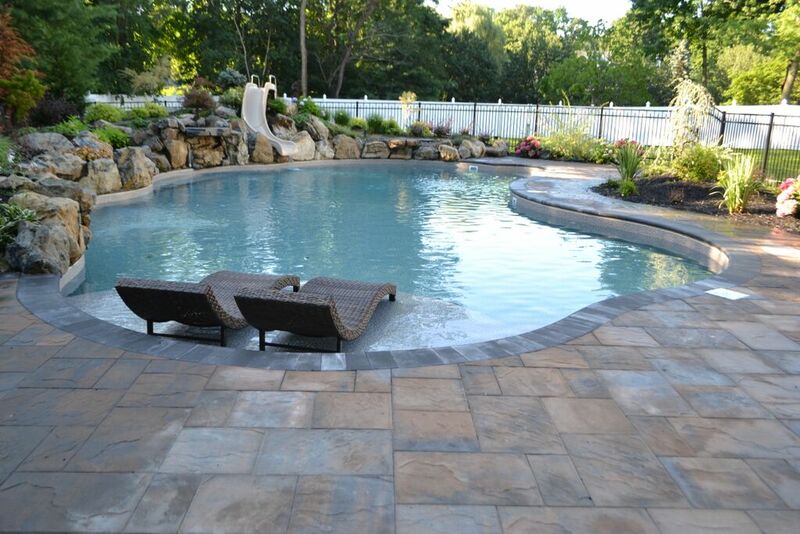 Here soft hues (blues, creams, pinks) and various sizes placed in random patterns create the perfect pool surround and patio for this backyard upgrade. 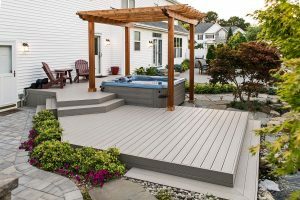 Deck and Patio’s design/build team is frequently asked what goes into creating a backyard that is ideal for entertaining, as well as outdoor fun. Depending on what a budget permits and the size of the property, we usually recommend a water feature — be it a pool, pond, stream with waterfalls, or a simple portable hot tub — as a focal point of its surroundings. 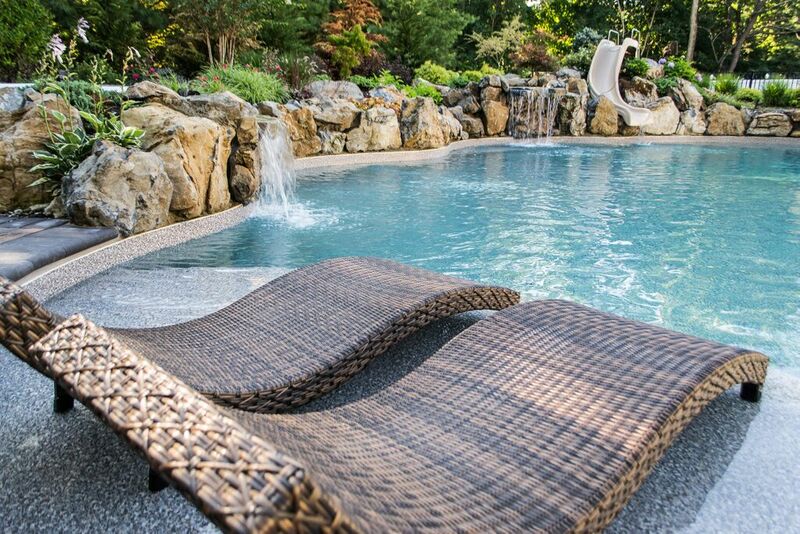 Pools vary in shape and complexity and homeowners can also choose between a vinyl pool and gunite, freeform and geometric. When budgets and property sizes are tight, rather than a full-sized regular pool, a smaller “spool” can function as both a small pool and spa. 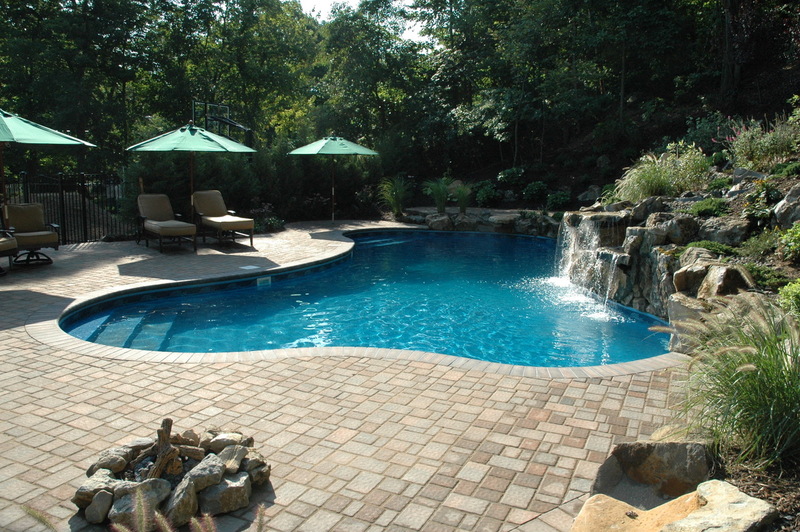 The placement of swimming pools and patios is very important. 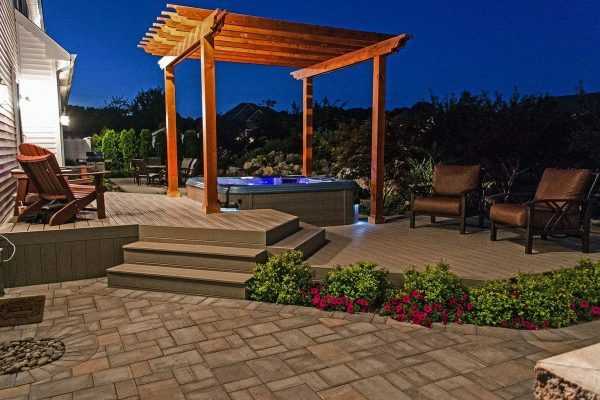 “If you don’t use a landscape designer, you may find that some pool builders simply plop the pool where it’s most convenient for them,” says Deck and Patio’s Bill Renter. 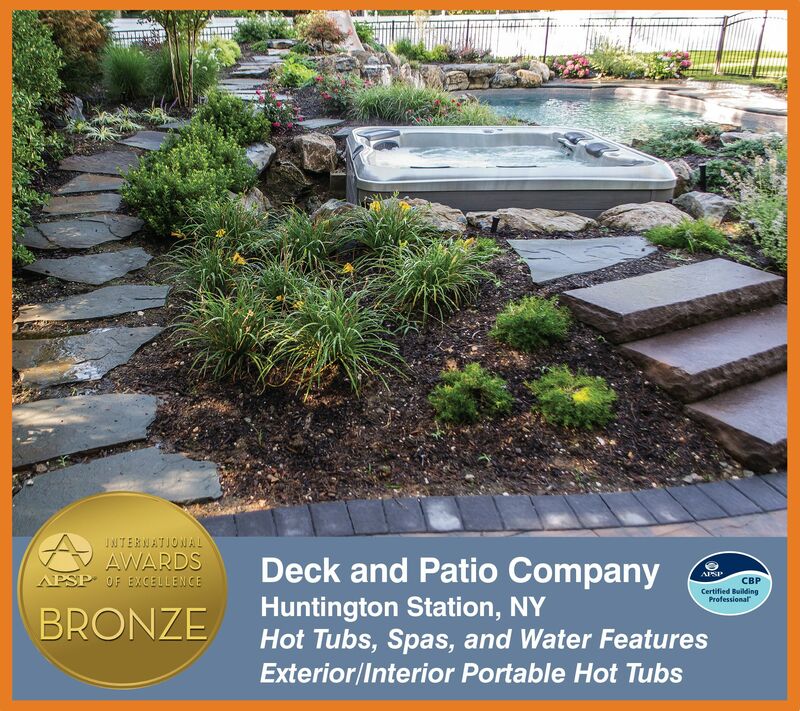 “We tend to push pools off to one side and leave lawn area for the children to play or just to have some “softscape.” That was the case for this award-winning pool (left), where we worked with True Blue Swimming Pools. The yard was small but they still got their pool — and enough lawn left for the kids to enjoy. We generally locate outdoor kitchens fairly close to the inside of the house — unless it’s a destination pool. 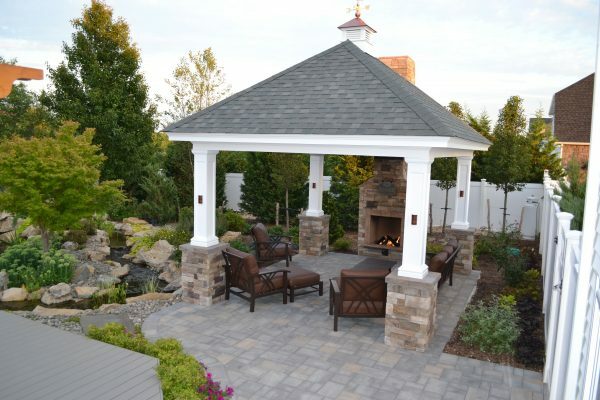 In the case where all the outdoor living areas are a distance from the house, this requires different planning. 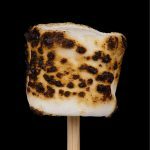 “But usually it’s key to be near to the home’s kitchen,” says Renter. Extra Tip: One trend we’re seeing in outdoor kitchens are warming/cooling drawers made by companies like Ronda. These insulated drawers are sealed and work without electricity so your drinks stay cool or your food stays warm depending on what you put in its lower drawer. “They have a magnetic seal, which along with being waterproof will also keep away bugs and dust. Indeed, you can choose a single drawer just for keeping dishes and cutlery completely clean,” says Renter. A bar/dining area is a great place for guests and family to gather. You can even add waterfalls. Shown here (above right) are sheet waterfalls, which offer a sleek modern look as well as a very pleasant sound. 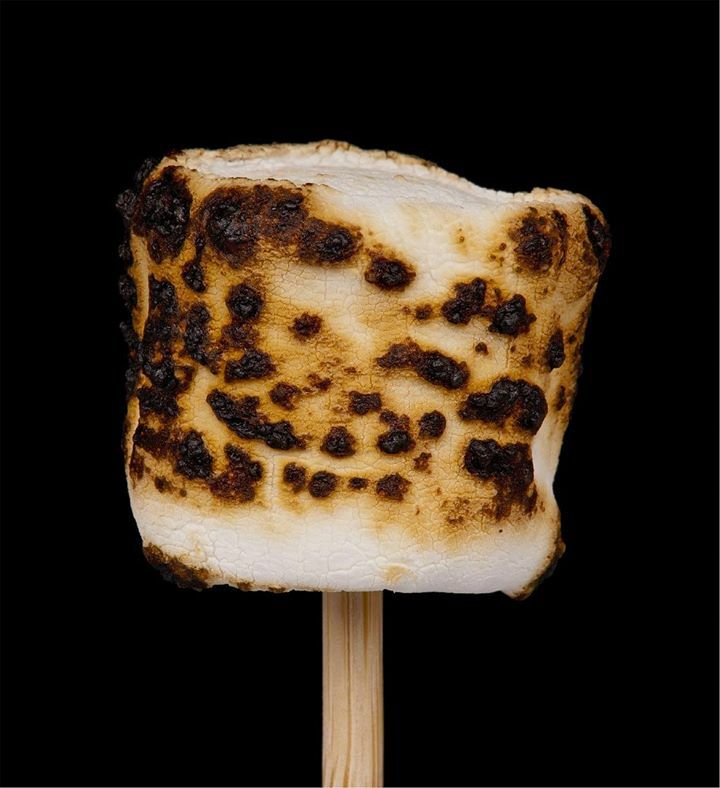 This helps people de-stress while inviting easy conversation. Kids love water and action. Pool slides and diving rocks are two favorite pool amenities. “When we add a slide, we try build it safe for the kids by setting it in around boulders and plants so if they ever fall, it won’t be far and with a soft landing,” says Renter. Other kid favorites: swim outs, deep end stairs and tanning shelves. We’ve found kids love to dive, swim out and dive or slide into the pool again, over and over. A tanning shelf or deep end stairs allow adults and other kids to watch them playing on the slide, etc. 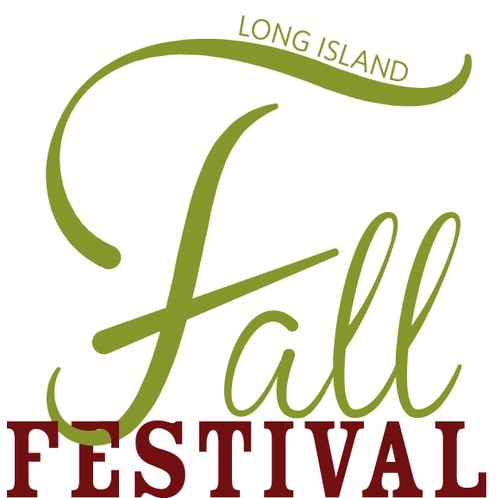 These are great places for young and old alike to gather. 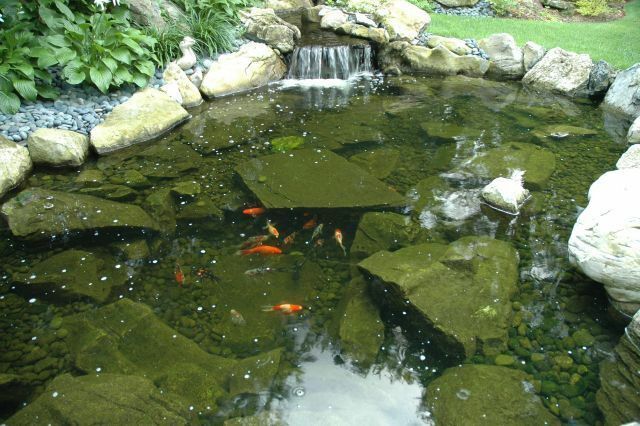 Deck and Patio specializes in building ponds so clear and pristine you can swim in them (even if you don’t wish to). Remember, all bacteria isn’t bad, some good bacteria kill the bad guys. 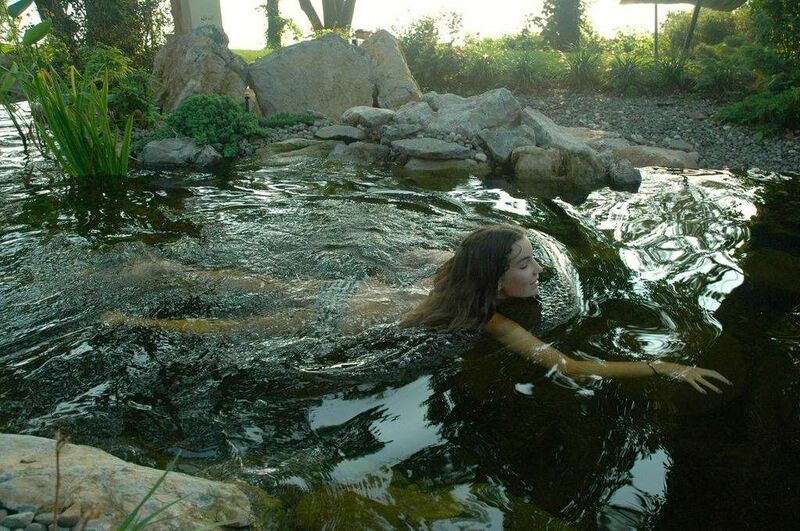 A healthy natural swimming pond is very possible and is worth all the care you give it. The goal, of course, is that any pond at a minimum be healthy for fish and aquatic plants. 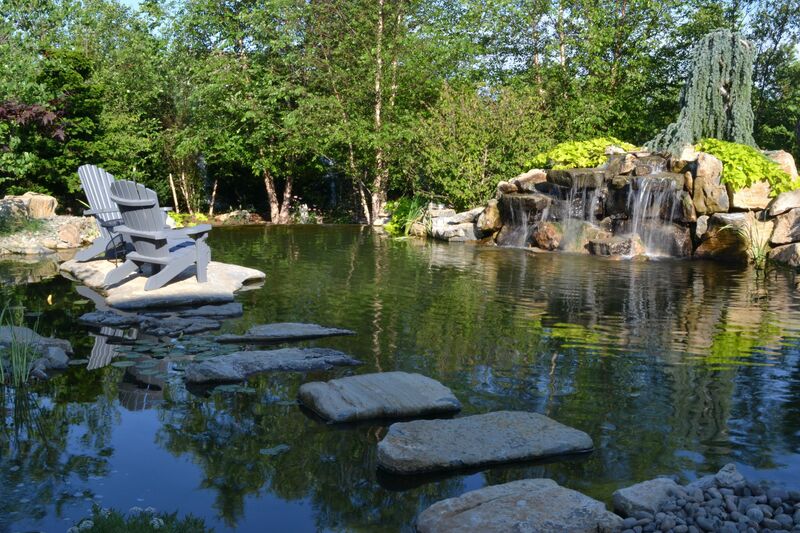 This kind of water feature is a joy to sit by, listen to; it’s also the perfect outdoor attraction for entertaining. The simplest pond to have is pondless. 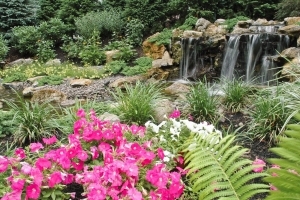 It will take much less time to clean up a pond-less waterfall (left) than a pond basin each season and it is a safer environment when children are very young. 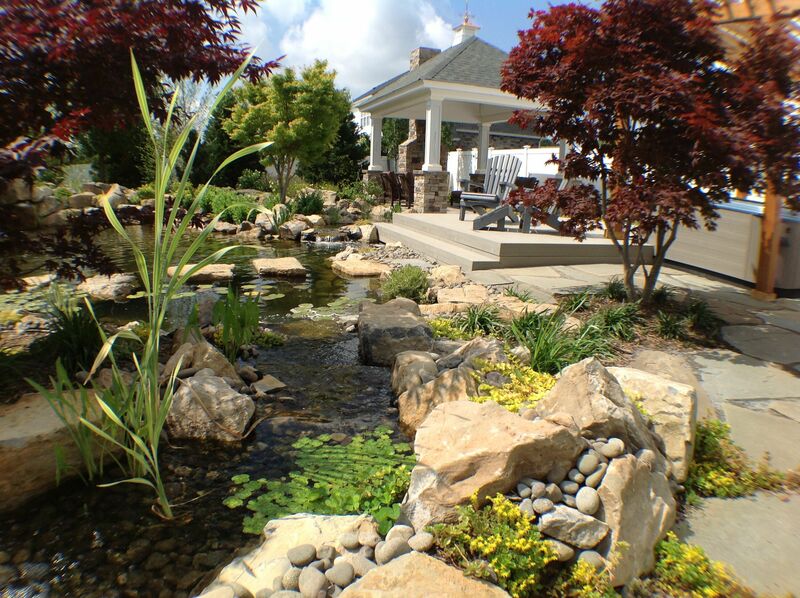 This pondless waterfall/stream was installed beside a portable Bullfrog Spas. 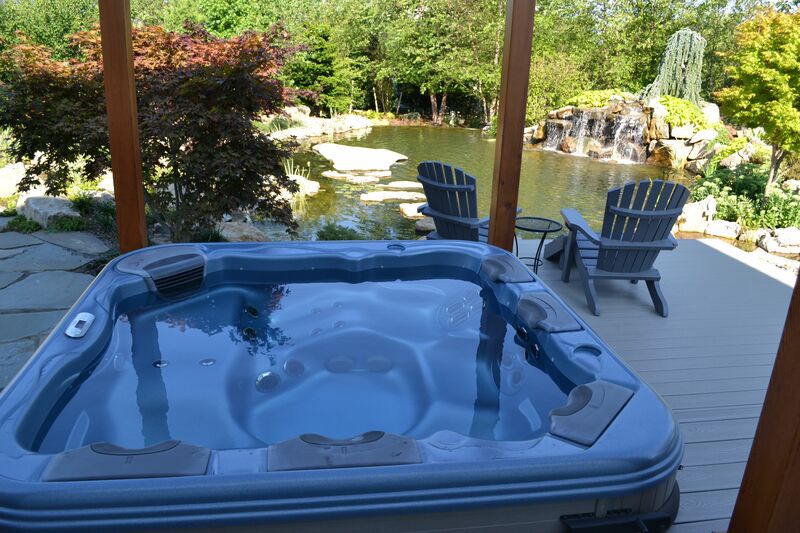 The stream is a lovely, tranquil sight from the patio as well as the hot tub itself. 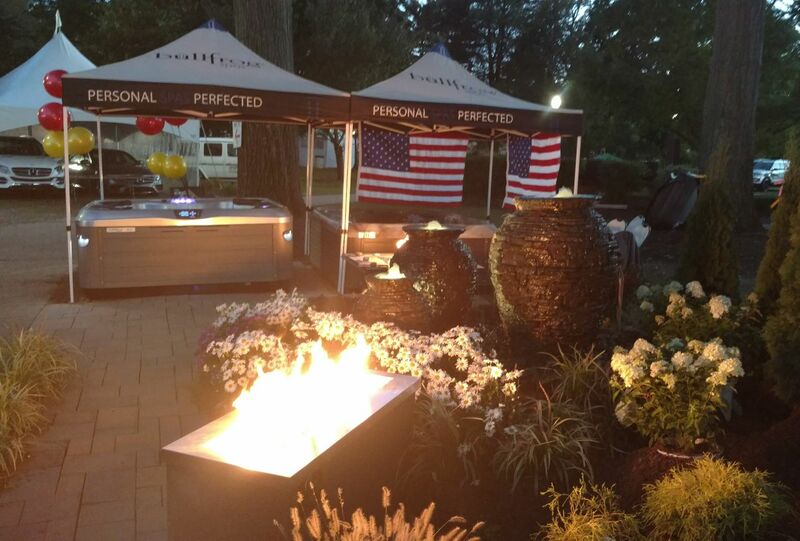 Sometimes all you need is need is a fire pit and some comfortable furniture on a handsome deck. 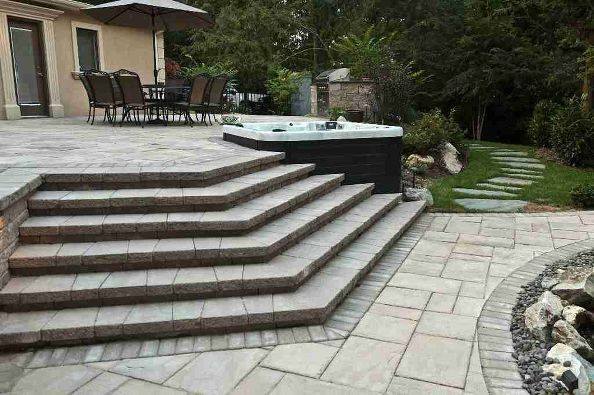 It would be easy to add a simple water fountain on such a deck so as to not miss out on its tranquil sounds. The deck shown here is Fiberon. 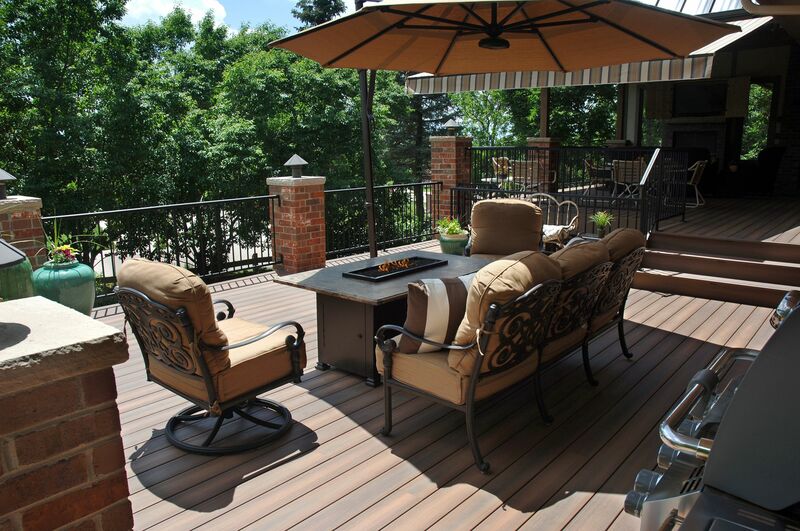 Photo: Courtesy of Fiberon Decking. 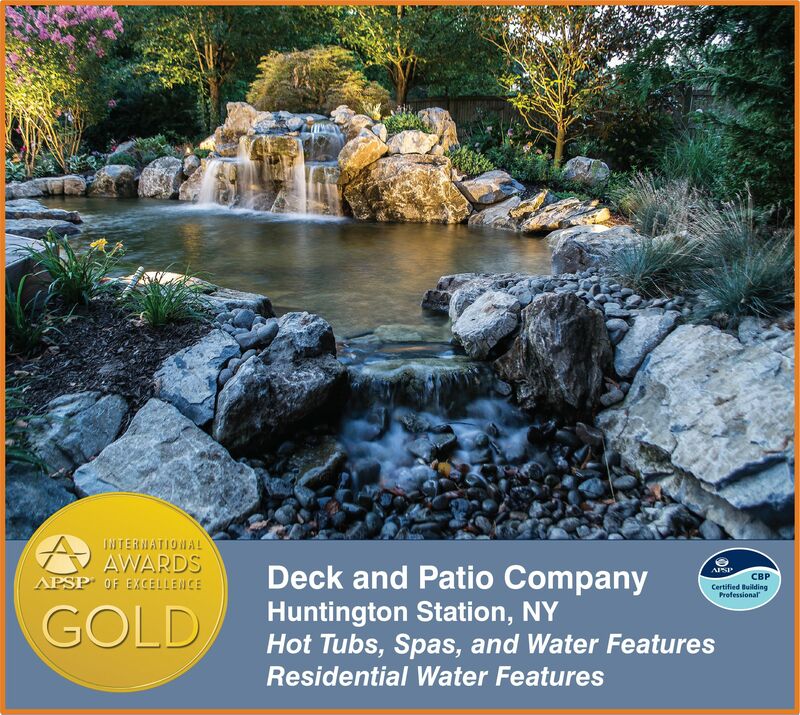 “When the voice of the pool and spa industry — The Association of Pool & Spa Professionals (APSP) — awards your company all its top honors in a category, it is an amazing achievement,” says Bill Renter, owner of Deck and Patio. 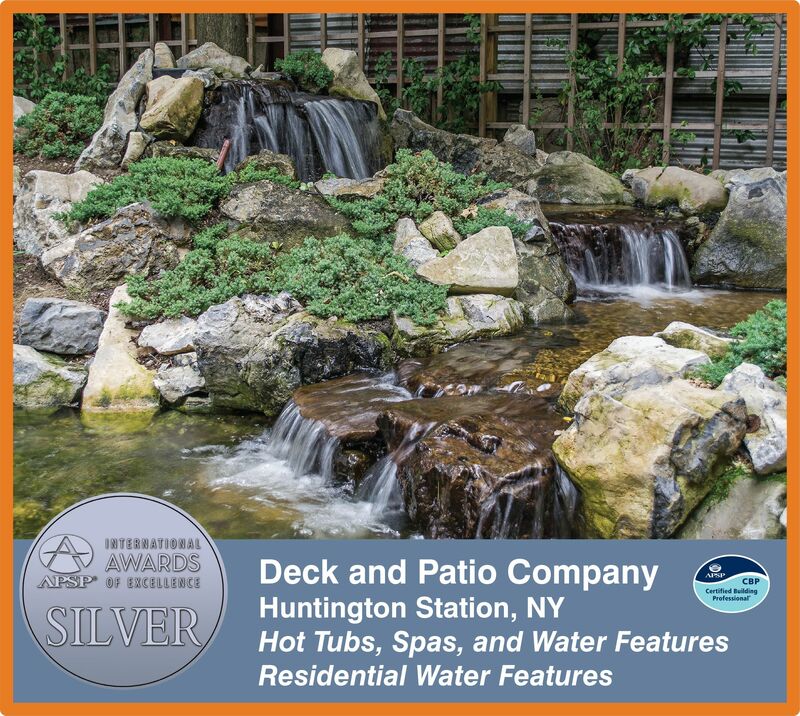 “Indeed, winning Gold, Silver and Bronze for our water features — and to be the only company to win in this category — not only makes us proud, but it is a testimony to the wonderful team we have at Deck and Patio. Bill adds that APSP is a wonderful gathering place for industry professionals to learn from each other. 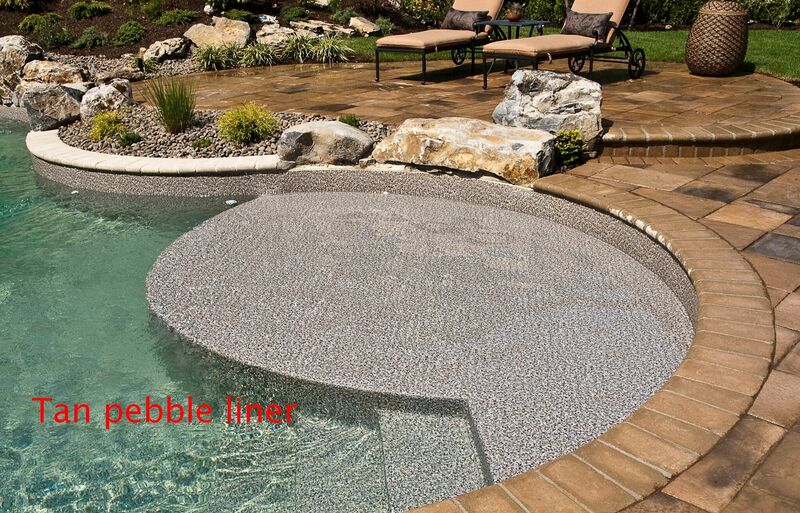 One such design was for a perimeter-overflow swimming pool where the water level was the same height as the patio. 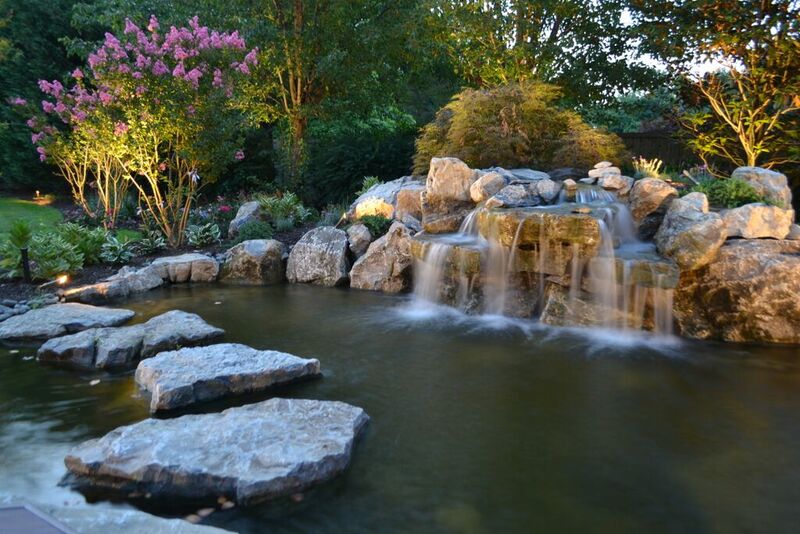 The waterfalls we created to flow over rocks in this water feature are not just for beauty; they aerate the 23 by 16, 2-foot-deep pond, keeping it from becoming stagnant. In addition to aquatic plants in and around the pond, the landscaping included bright plantings. 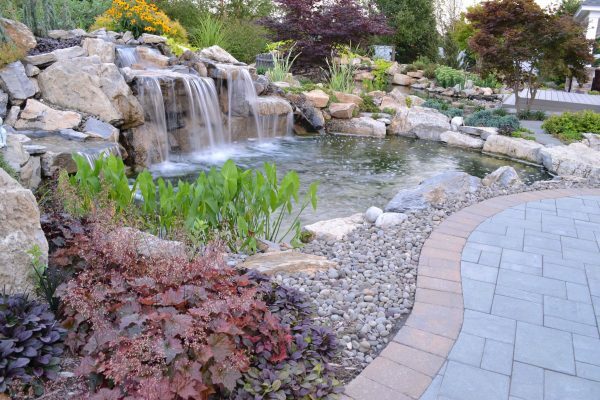 We added colorful koi, plus the pond attracts other desirable wildlife for a blissful backyard escape that is a delight for all the senses. 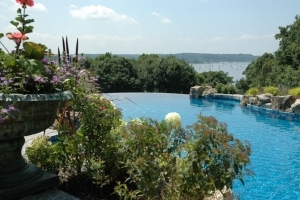 Even though they live in a bustling, high-traffic part of New York City, this client wanted her children to experience the same interaction with nature that she had as a child. 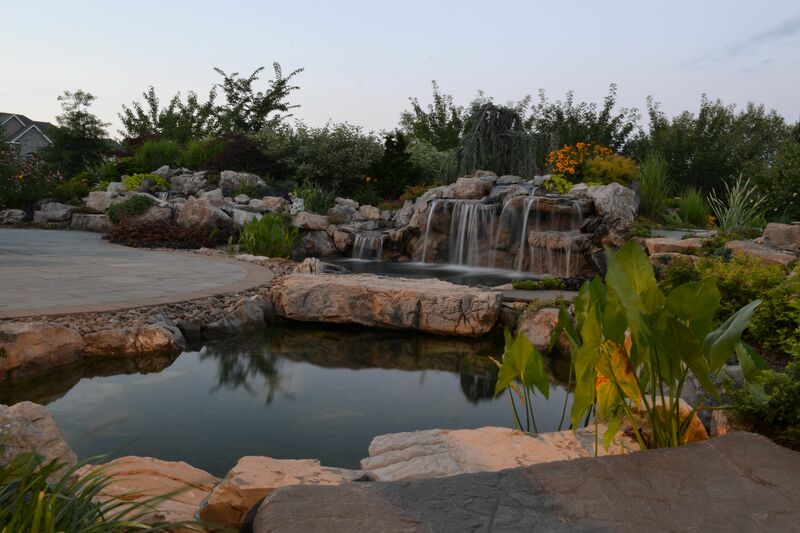 For them we designed/built a complete backyard playground oasis: a swimming pond with a beach-style entry and a water feature with three waterfalls. 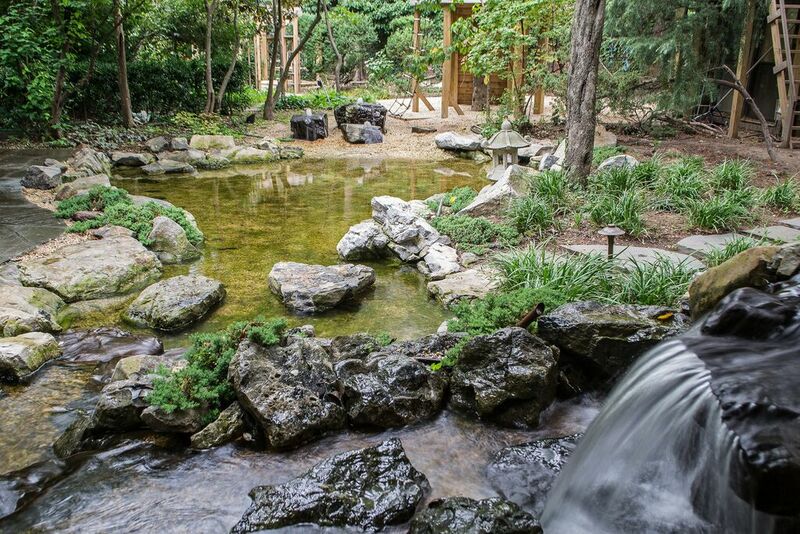 Instead of using any chemicals, to keep the pond healthy through a natural eco-system, we used all Aquascape Inc. equipment and components. 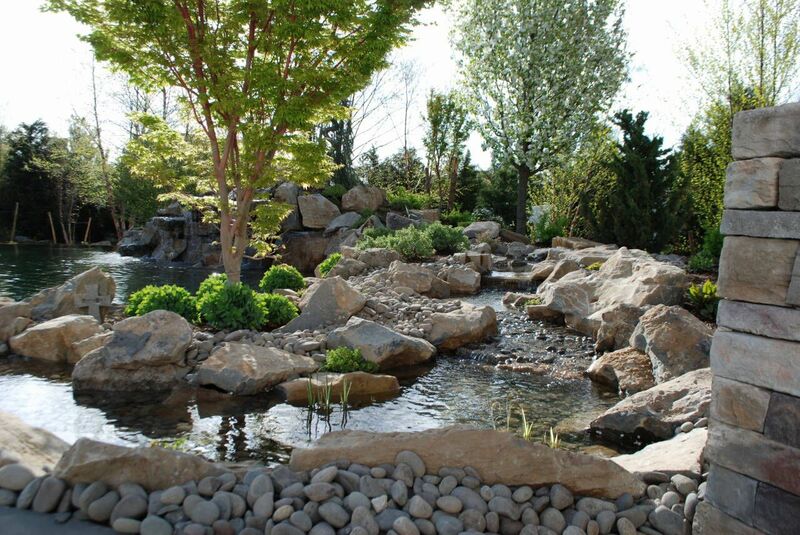 We also constructed the shallow pond as a deeper koi pond with boulders that are covered with fabric and gravel; when the children are older, this can be removed, leaving only the liner, to create a full-sized koi pond providing an entirely different experience for the children. 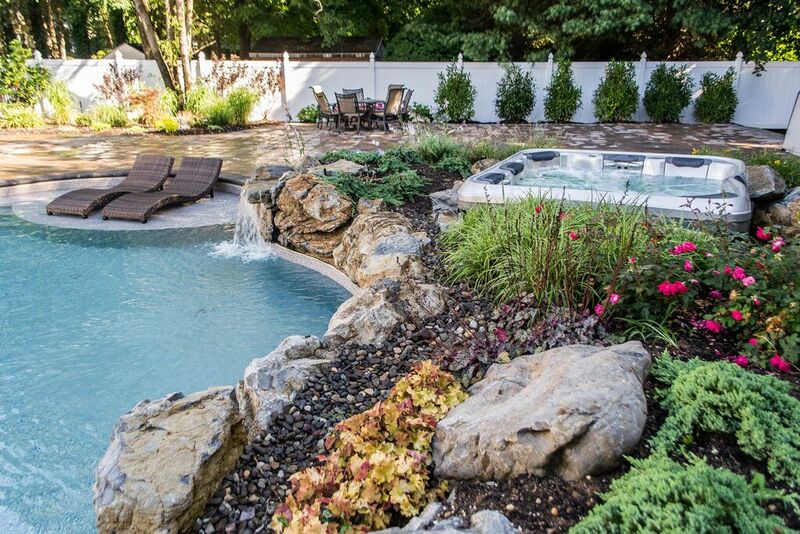 These clients wanted a spillover spa, but so they could enjoy it all year, they wanted it separate from the pool. 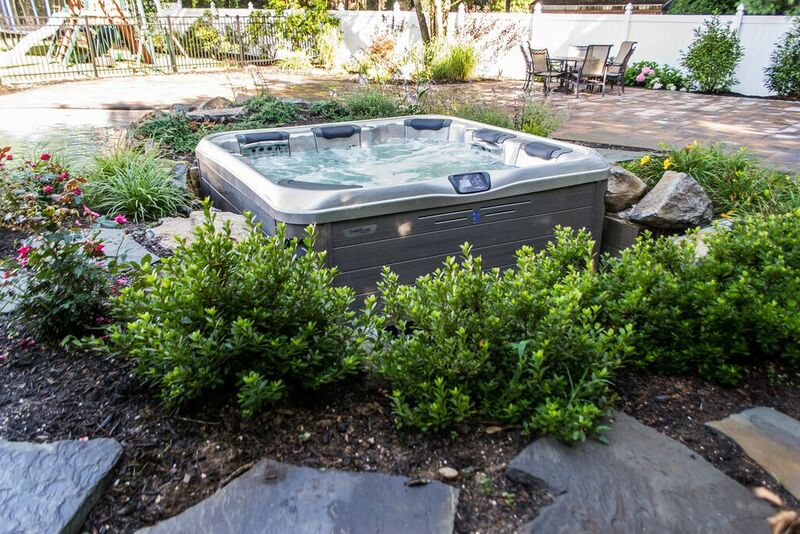 To provide the look they wanted, along with year-round use, we built a Bullfrog Spas portable hot tub all the way into the ground with boulders and plantings around it. 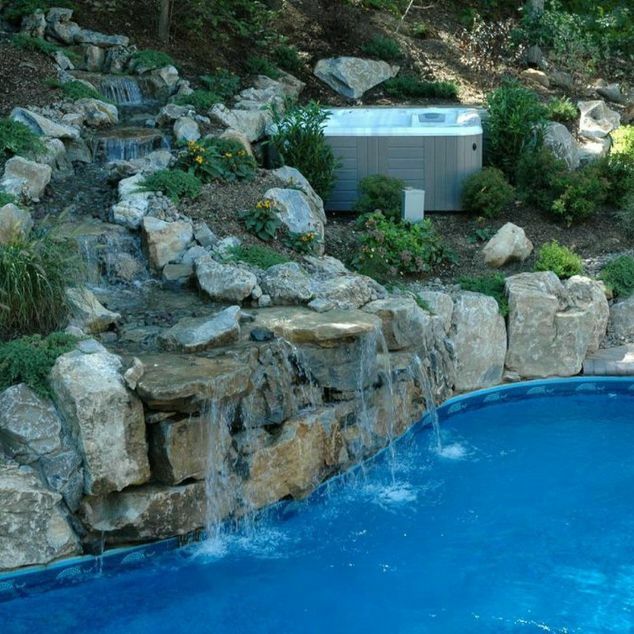 We also added a moss rock waterfall just beneath the hot tub that spills into the pool. While it’s actually coming from the pool’s edge, this waterfall appears to be coming from a custom in-ground concrete spillover spa. 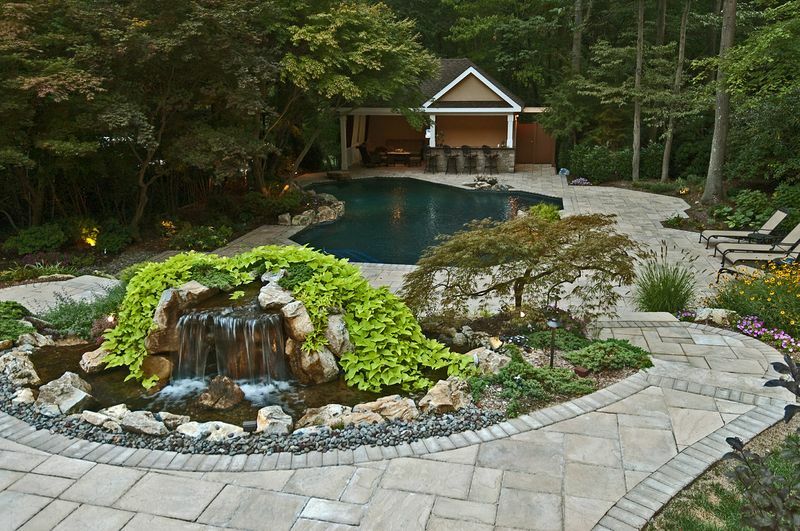 In addition to a destination in-ground pool — with moss rock waterfall and handsome patio surround and bright landscaping — these clients asked Deck and Patio for a “spillover” spa that would give them not only the joys of a soaking in its relaxing waters, but provide an additional waterfall splashing into the pool. 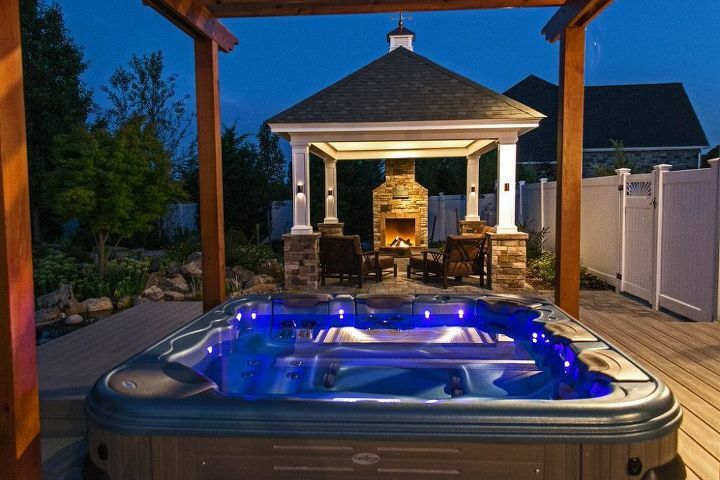 They also wanted to use this spa/hot tub all year, even when the pool was closed. 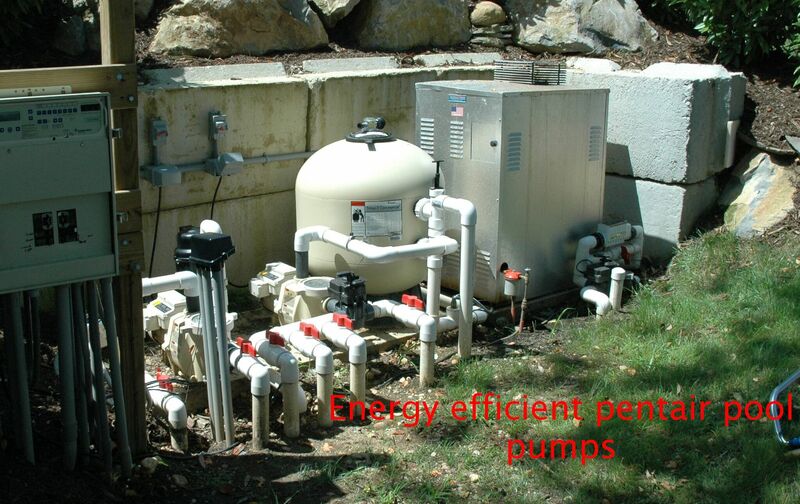 Most custom in-ground spas that “spill over” are connected to the pool’s functions requiring the pool be on when operating the spa. This would be a problem for the months the pool is closed. 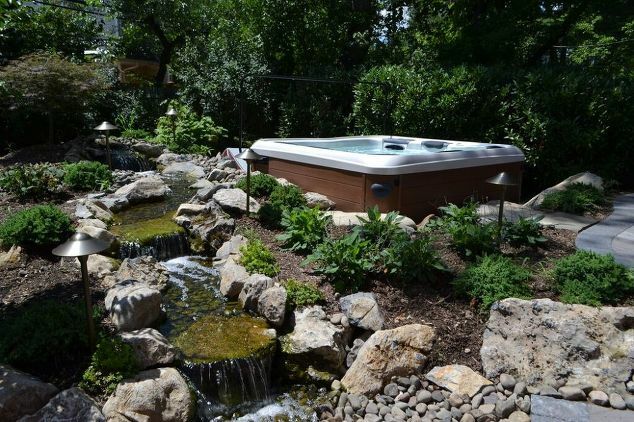 Our solution was, rather than build the usual connecting cement spa, we install a portable Bullfrog Spas’ hot tub in way that looked built in — with a waterfall just below it that appears to be coming from the spa, but actually coming out of the pool itself. The clients agreed that this was an ideal way to give them all they wanted, especially since they would also get the superb hydrotherapy benefits of Bullfrog’s JetPaks massage jets/seats — and have those benefits all year long. 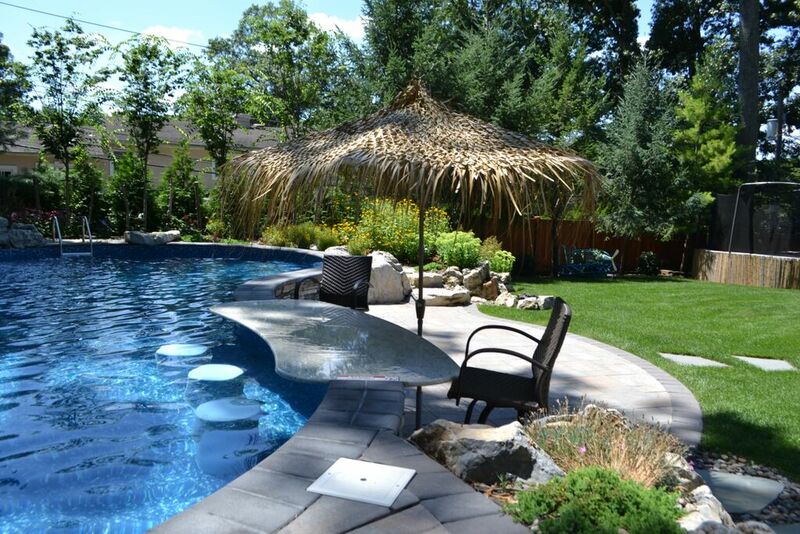 The movement in the pool’s free form shape, surrounded by plant material chosen for color and texture — with a view on how it will grow — ensures their backyard retreat will be a lovely backyard oasis for a long time to come. And what about during seasons when the pool is closed? 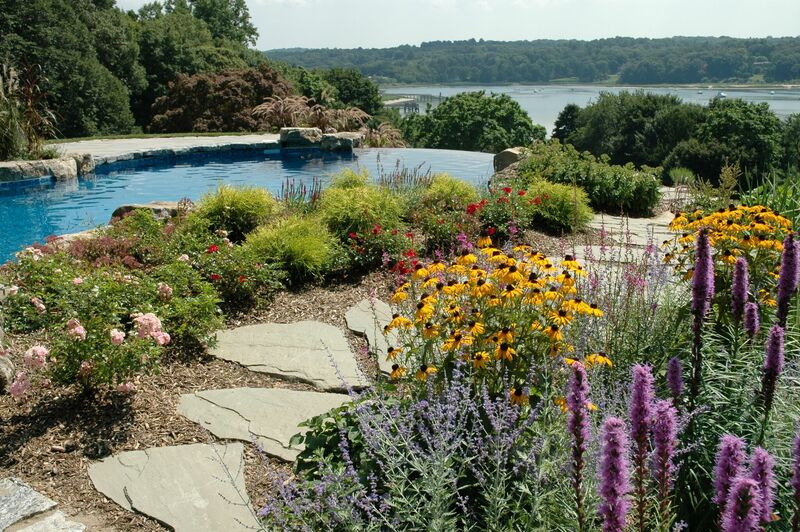 There’s lots of long-blooming plants and green ground cover to brighten the area outside of pool season. 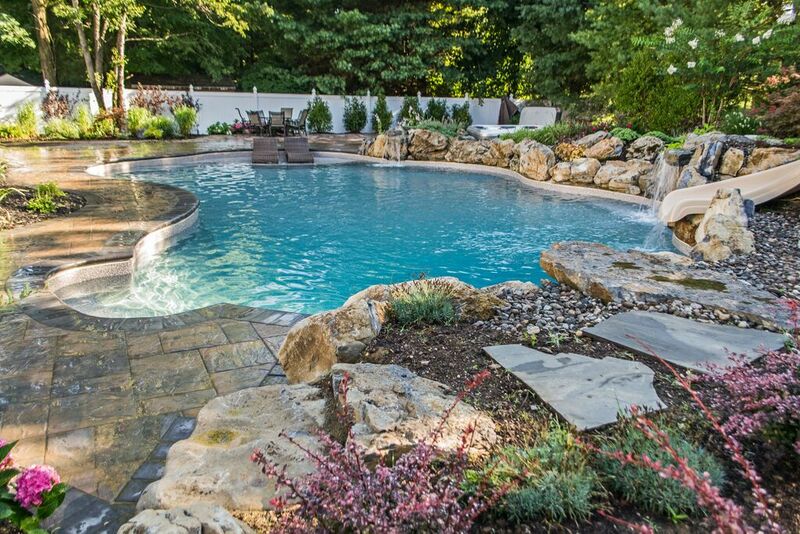 Amenities abound in this backyard retreat: beautiful free-form vinyl pool, moss rock waterfalls, diving rock, tanning shelf, spa set in-ground, robust plantings, and handsome patio. 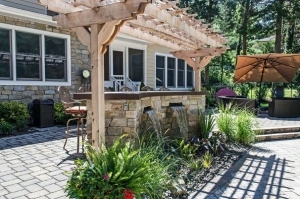 Deck and Patio set the Bullfrog Spa all the way into the ground with boulders and plantings around it — and added a moss rock waterfall just beneath that splashes into the pool. 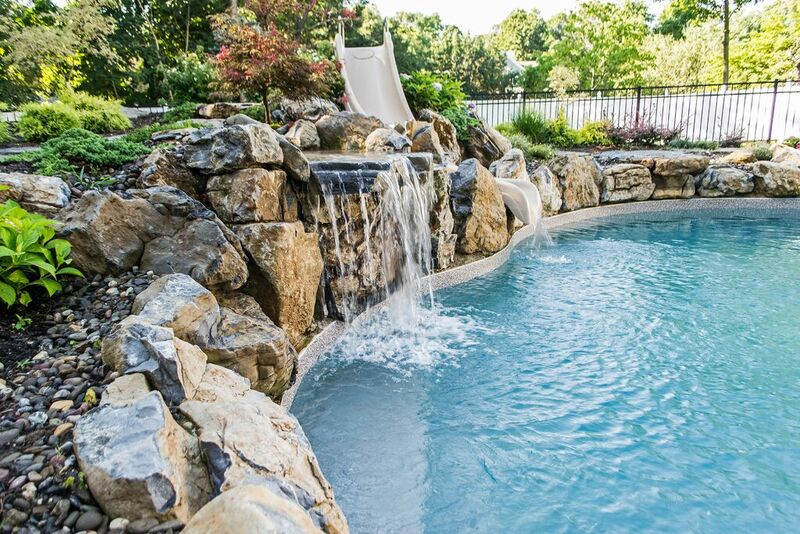 While it’s actually coming from the pool’s edge, the waterfall appears to be coming from a custom in-ground spa. Next to the Wild Ride slide that also spills water into the pool, we installed a moss rock waterfall that flows with force over an extended rock. The free-form vinyl pool was designed with an expansive tanning shelf that boasts room for two large S-shaped recliners. Having no legs, the recliners sit right in the water for a comfortable way to keep cool and sunbathe at the same time. 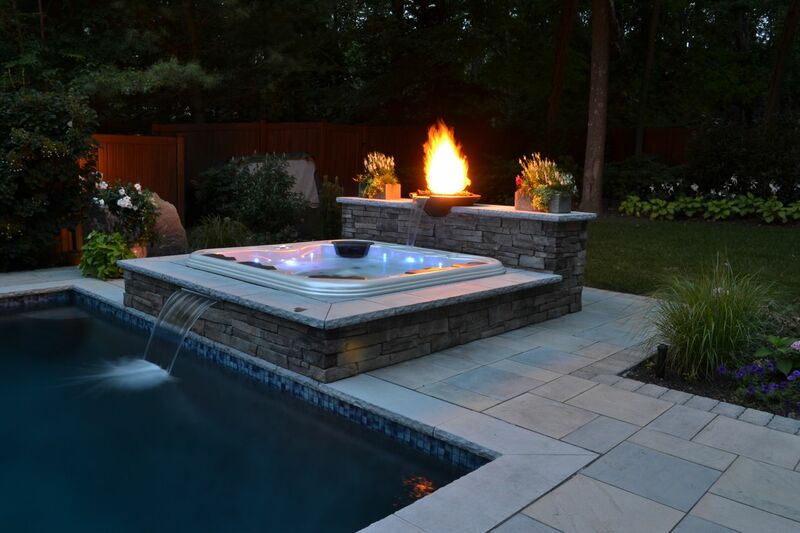 The handsome patio/pool surround is made with durable Cambridge Ledgestone XL “Toffee Onyx Light” pavers (Sherwood Collection). 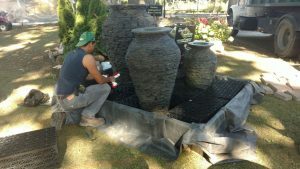 These pavers come in 3-piece design kits for a beautiful random design. We left one side of the hot tub exposed to make it easy to get to the plumbing operation of the hot tub. However, when looking at the hot tub from the patio or pool area, it appears to be all in-ground.